Two of our favorite brands demonstrate that it’s not so much what you put in, but what you leave out that makes a product. Case in point? Nau and Klean Kanteen’s new co-branded reusable water bottle. Made from stainless steel, food-grade silicone, and sustainably harvested bamboo, the first-of-its-kind flask is completely free of paint, plastic, and rubber seals. Nau and Klean Kanteen dub this the most environmentally safe, nontoxic water bottle you can buy, but although a glass container might trump that assertion, you can at least rest assured that neither you nor your bottle will crack under pressure. Cheers to that. Two of our favorite brands demonstrate that it's not so much what you put in, but what you leave out that makes a product. Case in point? Nau and Klean Kanteen's new co-branded reusable water bottle. Made from stainless steel, food-grade silicone, and sustainably harvested bamboo, the first-of-its-kind flask is completely free of paint, plastic, and rubber seals. 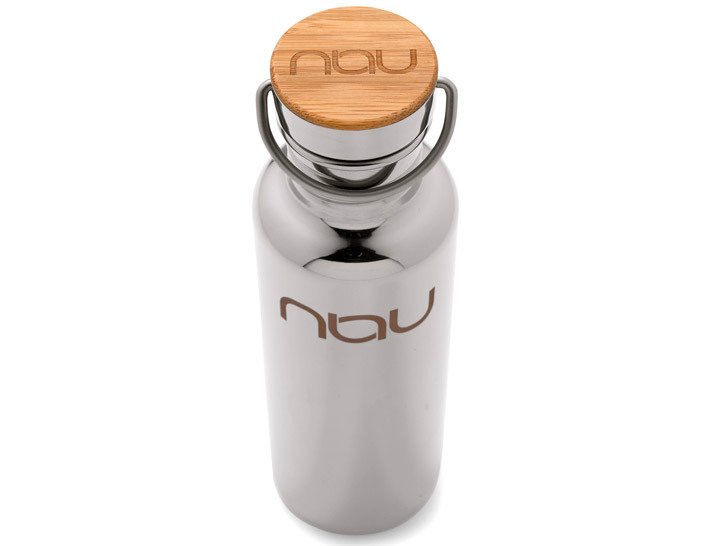 Nau and Klean Kanteen dub this the most environmentally safe, nontoxic water bottle you can buy, but although a glass container might trump that assertion, you can at least rest assured that neither you nor your bottle will crack under pressure. Cheers to that.